The new roadmap, product of a year-long business model investigation, aims to create a level playing field for innovation on the utility distribution system. How is a distribution system like an iPhone? That's not a riddle; it's a vision Ohio regulators have formed around the future of the grid, to serve all customers and provide services from all third-party providers. All that in a ubiquitous platform that maximizes benefits to customers while keeping costs low. 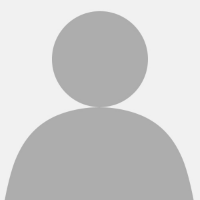 But the Public Utilities Commission of Ohio (PUCO) does not have Steve Jobs. In fact, its grid modernization initiative is developed around the concept that there is no "iPhone" of the distribution grid yet. With PUCO Chair Asim Haque is at the helm, the regulators released a roadmap to their PowerForward program on Wednesday to help guide the state to a regulatory environment where that "iPhone" can thrive. PowerForward aims to create a "playing field" that nurtures innovation from distribution utilities, their unregulated affiliates, competitive power retailers and third party technology providers to enhance the customer experience. "We want for that marketplace to advance organically," Haque told Utility Dive. Chair Asim Haque speaking with PUCO staff and former commissioner Howard Petricoff. Since opening the PowerForward docket last year, Haque has emphasized ​that the initiative is meant to be Ohio-specific and provide benefits to customers at a reasonable cost. The chairman referred to PowerForward as a "relatively conservative approach" due to its emphasis on lower costs and its exploratory nature. "We have not set goals for 2050 and are trying to work backwards," he said. "We are effectively trying to build out distribution grids of the future that will allow for innovation to enhance the customer experience." The non-binding roadmap sets an outline for grid modernization and aims to organize the four main investor-owned utilities (IOUs) in the state. FirstEnergy (which has three subsidiaries in Ohio), Duke Energy Ohio, AEP Ohio and Dayton Power & Light (DP&L) have all filed various grid modernization riders as part of other PUCO dockets, and Haque said the utilities were mostly in support of grid modernization. "Ultimately, an advanced energy infrastructure will be shaped by our customers' core needs – reliability, affordability, safety and peace of mind," Doug Colafella, FirstEnergy spokesperson, wrote Utility Dive via email. PUCO will establish a separate docket for each regulated utility to collect all grid modernization plans. Utilities will file their plans in the new docket, designated "EL-GRD," by the end of the year or at the start of 2019. The roadmap's timeline has utilities filing a brief report by April 1, 2019. DP&L confirmed that it will file a grid modernization plan at the end of the year for its southwest Ohio service territory. The roadmap also recommends implementing financial and managerial audits to evaluate how regulated utilities are creating benefits to customers from the capital deployed for grid functionality. The regulators also encourage the creation of cost caps to ensure grid modernization spending is "gradual and manageable." 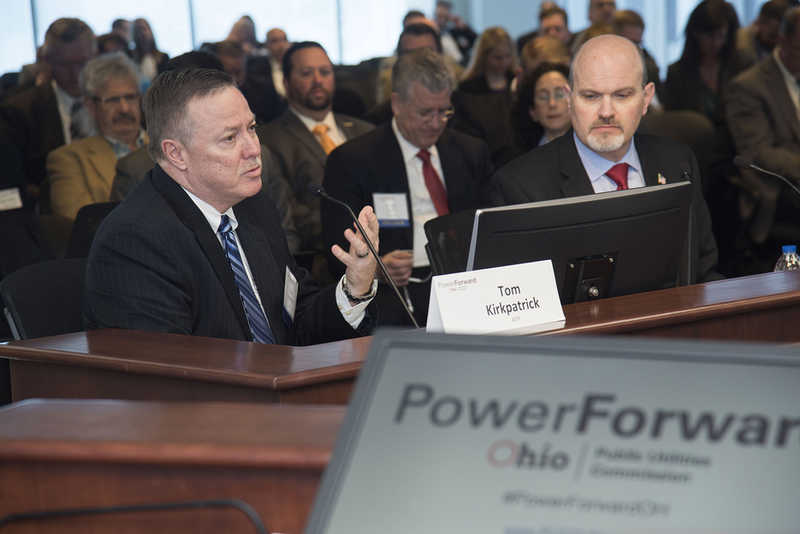 Regulated utilities were involved throughout the PowerForward process, including AEP's Tom Kirkpatrick, (right) and Kevin Hall (left) from AES, Dayton Power & Light's parent company. More states are seeking to modernize transmission and distribution grids. Some of the most notable examples come from New York and California, which have large customer bases and large state utility regulatory staffs. California opened its first docket on distributed resources in 1997, and its learning period started by asking IOUs to provide detailed maps of the distribution system to understand the physical state of the grid, said Sonia Aggarwal, vice president at the think tank Energy Innovation. In New York, she said, the landmark Reforming the Energy Vision docket is moving the state toward paying utilities for performance and incentivizing them to meet grid needs with customer-sited resources. The PowerForward learning period involved input from several states and national labs to combine these lessons into a roadmap that could potentially be applied to other states. "I think that the underlying economic fundamentals are exactly the same in Ohio as many other places," Aggarwal told Utility Dive. An initiative like PowerForward "signals to the utilities that policymakers and customers are paying attention to the potential for overall system costs to go down, as more of the value from the distribution level is realized," she said. In addition, Aggarwal said utilities would benefit from not only lower costs but gaining greater insight into potential outages by installing advanced metering infrastructure. Duke Energy Ohio was the first regulated utility to complete a smart grid deployment, according to spokesperson Lee Freedman. The utility is looking to continue smart grid investments, in order to gain capabilities such as "automatically identifying faults, anticipating outages and rerouting power," he wrote to Utility Dive. Part of building the "iPhone" of the grid is anticipating interoperability for new services between other providers and utilities. "Everyone and their brother is going to plug into that platform," Mark McGranaghan, power delivery and utilization VP at Electric Power Research Institute (EPRI), told Utility Dive. McGranaghan and several other EPRI members participated as speakers in the PowerForward process, though he had not seen the roadmap at time of interview. "When we see a gap, potentially, in the marketplace, ... then the PUC may determine that it will try and fill it with regulated utility involvement." For the platform to be the modern marvel that Haque envisions, the roadmap stresses that data from utility distribution grids will need to be more accessible, as well as the tools developed from the information. First, PowerForward's roadmap suggests creating two groups outside of PUCO, including the Data and the Modern Grid Workgroup (DWG) to address the need for a protocol for data privacy protections and drive toward real-time or near real-time data becoming available. Both aspects are crucial, the roadmap says, in a time when cyberthreats are so prevalent and many utilities are grappling nationwide with using distribution systems to enable customer interactions. And secondly, in the event that the "marketplace does not advance to benefit all Ohioans," PUCO built in regulated utility backstops. The roadmap identified several areas in grid modernization that could require that additional involvement from IOUs, primarily electric vehicle (EV) infrastructure. As part of the distribution system operations platform, the roadmap recommends creating a PowerForward Collaborative from PUCO staff to further study what would be helpful to deploy on the grid. The Collaborative would, in part, build the EV marketplace and study aspects such as "rate design to incent EV charging during off-peak periods, corridor deployment and the development of the marketplace for EV stations." "Where we want to continue to monitor the marketplace is with respect to the actual charging stations and whether or not those are being deployed in tandem with the development of the market," Haque said. While EV penetration in the state is relatively small, the PowerForward sessions have highlighted a "chicken or the egg" style issue regarding the buildout of public charging infrastructure. For now, PUCO is not interested in allowing utilities to advance home charging, but regulators will evaluate the potential to allow utility ownership of corridor deployment of EV infrastructure, and other locations where the business proposition might not exist yet for third parties. Another aspect that could motivate utility involvement with EV charging infrastructure is "how the state of Ohio plans to allocate the $75 million in funding from the Volkswagen settlement," Duke Energy Ohio's Freedman said. Other states, such as Massachusetts, have also proposed investing settlement funds in electrified transportation, after the auto manufacturer was found guilty of cheating on emissions standards. The Collaborative would also work to determine the benefits of energy storage or other non-wires alternative (NWA) solutions, while aiming to determine a process for NWAs to be submitted to PUCO and decided without extended delay. While more concrete targets to deploy NWAs would offer a stronger market signal for the industry, which is now in its early stages in the state, Aggarwal said starting the conversation about the potential for a modernized system was "a great place to start." The state is continuing debates over how to reward customers with solar panels for the electricity they send back to the grid. However, net metering was purposefully left out of the PowerForward roadmap by PUCO because of a pending rulemaking. After presenting new proposals that limited the size of net metering and reduced credits for customers in some territories, regulators held oral arguments in January. Haque compared the en banque process to PowerForward’s approach to learning from different stakeholders in the residential solar landscape. "We are very conscious that decisions made associated with net metering will of course have an impact on distributed energy resource proliferation and how DERs are treated in the state." PUCO will wait for that rule to be finalized before having a more “robust discussion” on the interplay of net metering and wider grid modernization. "We are very conscious that decisions made associated with net metering will of course have an impact on distributed energy resource proliferation and how DERs are treated in the state," Haque said. But the debates on compensating residential solar customers have varied widely between states and that policy decision goes beyond grid modernization considerations to integrate those resources, EPRI's McGranaghan pointed out. That decision matters more regarding to the groups that want to sell PV solar in Ohio.